To arrive at the right time for your Sunday activities, remember to turn your clocks back one hour if you are in most parts of Mexico. Puerto Vallarta and Riviera Nayarit will gain an hour at 2:00 am on Sunday, October 28, 2018, by turning back clocks. 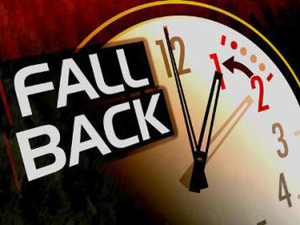 Our neighbors to the north in the United States and Canada that observe DST will turn their clocks back on Sunday, November 4, at 2:00 am. Most of Mexico changed to DST on April 1, 2018, three weeks after the US and Canada changed their clocks on March 11. Now we're changing a week ahead. DST schedule for 2019 begins in Mexico on April 7 and ends on October 27. In the US and Canada, DST 2019 begins on March 10 and ends on November 3. The three weeks in the Spring before Daylight Saving Time began in Mexico, and one week in the Fall after Daylight Saving Time ends in Mexico, makes most of Mexico one hour out of sync with the corresponding US and Canadian time zones. Keep these time differences in mind when making your Mexico travel plans.